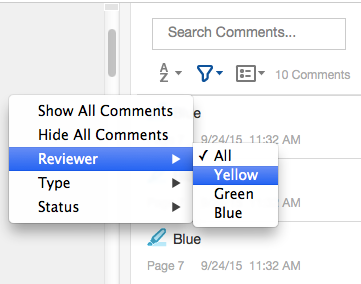 My most beloved feature in Acrobat is Sort Comments by Color. Sadly, Adobe did not include this feature beyond Acrobat 9. So to this day, I still use Acrobat 9, every single day. This is the primary reason Why I Run Four Different Versions of Acrobat. Though Adobe official stopped supporting Acrobat 9 a couple of years ago, and eventually I'll no longer be able to install it on my computers, I am perpetually on the hunt for a way to sort comments by color in Acrobat X and beyond. I think I may have found a way. It's not nearly as good as the original, built-in, thoughtfully designed way of sorting comments by color, but for those Acrobat users who no longer have Acrobat 9, yet still need to sort comments by color, this may well work for them. To use this trick, you need to be willing to sacrifice your name as the default Author name in your comments. So let's see how it works! Step 1: Highlight some text. Right click on it and choose "Properties." Then click on the General tab. Notice the author name. 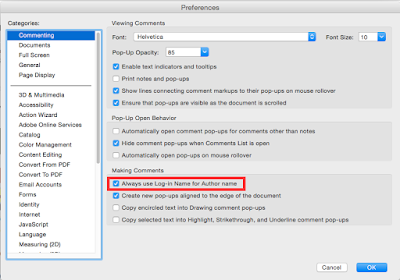 Acrobat pre-populated that for me based a checkbox located in Preferences > Commenting. 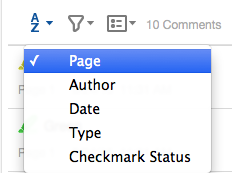 Step 2: Go to Preferences > Commenting. 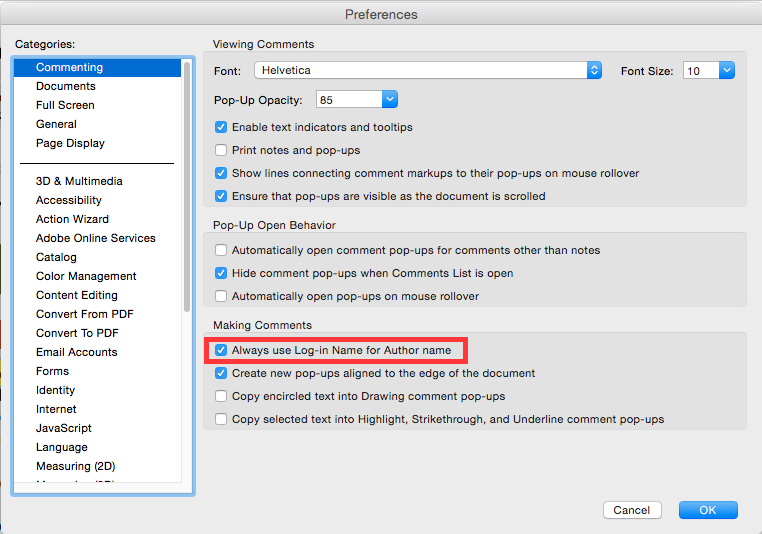 In order to sort comments by color in Acrobat X and beyond, we're going to Uncheck the box: "Always Use Log-in Name for Author Name." Now click OK. Step 3: Go back you your highlight and right click > Properties > General tab. 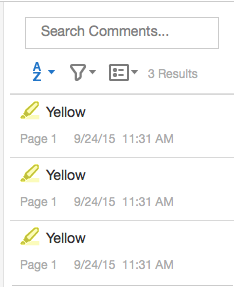 Change the author name to Yellow (or whatever color you highlight happens to be). Also check the box, "Make Properties Default." Step 4: Highlight some more text and notice the Author name. See how the second highlight has the exact same properties as the fist highlight? 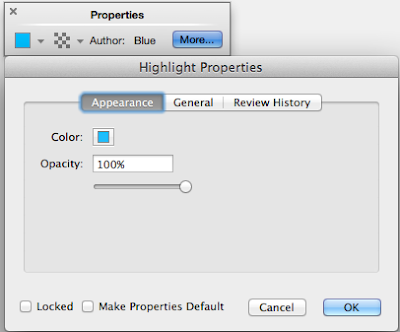 Using the Properties Bar, change the color of the highlight. 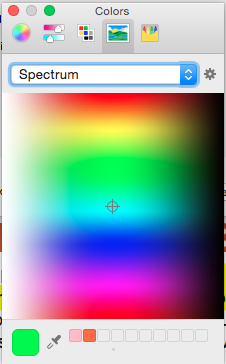 While you can change the highlight color in the Properties dialog box, I really prefer the arrangement of the colors in the drop down on the properties bar. 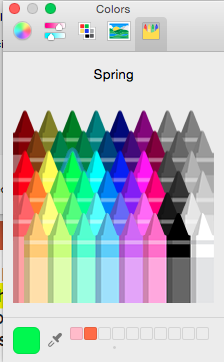 It's the same color swatch arrangement as it was in previous versions of Acrobat. 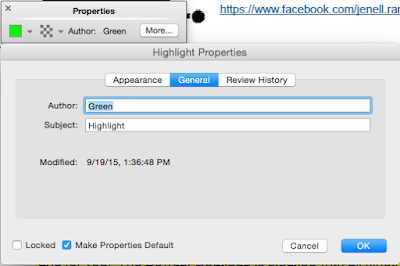 It used to be, that when you click on the colored box in the Appearance tab, the same color swatch layout (see above) was used in the the Properties Bar and the Comment Properties dialog box. But alas, no longer. 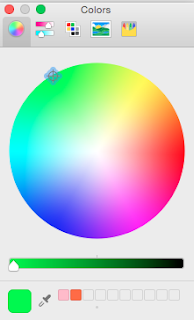 Now here in the Appearance properties, when you click on the colored swatch, you have your choice of five additional dialog boxes, all with different ways of choosing a color. Seriously? I'm not designing a 4 color brochure, or trying to match a Pantone shade. I need a highlighter color. That's it. The old way was better. 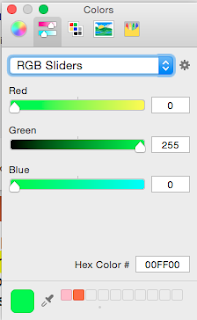 It seems that Adobe decided to forgo Acrobat's perfectly functional color swatch choices and instead use Apple's built-in color choices...which was the wrong move. For me, these additional five dialog boxes are more trouble than they're worth. 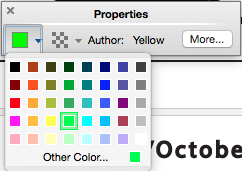 The color swatch arrangement in the Properties Bar offers the perfect blend of color choices, with the minimum amount of effort required on my part. Step 6: Now that you've got your color chosen, change the author name from Yellow to Green. Then choose "Make Properties Default." Now add a few more green highlights. Step 7: Repeat Step 6, but do it for Blue. Step 8: Now go to the Comments pane and take a look. 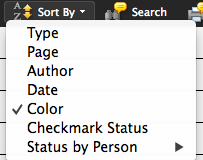 The default sorting is by Page, but you can also sort by Author... which is why we renamed the Author name from login name to color. 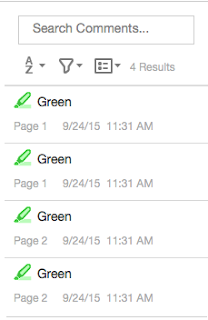 Now, note that in Acrobat 9, there was an additional sorting option: Sort Comments by Color. But that doesn't exist in Acrobat X, XI, DC... which is the entire purpose of this article. To offer a workaround to this missing feature. 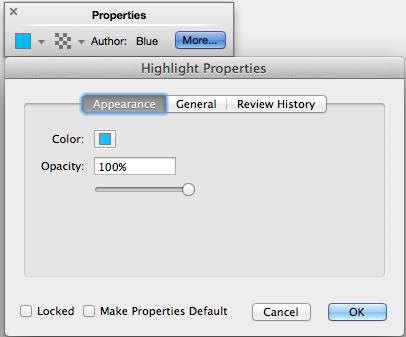 But let's go back to Acrobat DC and choose Sort Comments by Author (which in this case is color). Now they are all grouped together by color! Now something else that Acrobat 9 had that is completely missing inlayer versions is the collapsable twirldown. 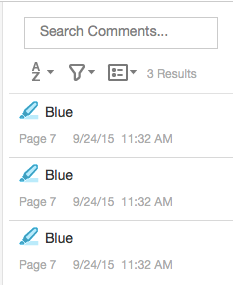 So if I have 100 comments in my document, I have to keep scrolling, and scrolling, and scrolling... But not so in Acrobat 9. Okay, I digress again. Back to Acrobat DC! Let's say that you want to try and emulate the handy twirl downs of Acrobat 9, just so you don't have the scroll forever. 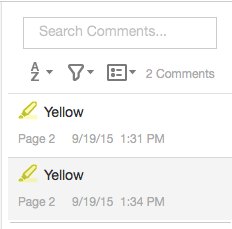 You can choose to SHOW (filter) just the comments by a particular reviewer. 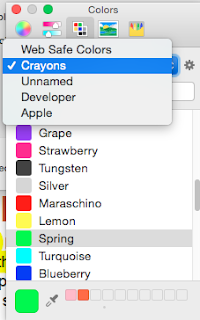 So, while this isn't exactly the same as Acrobat 9 Sort Comments by Color, for those of you (like me) who rely upon that feature every day, not having it in the recent versions of Acrobat has proved very frustrating. And though you will have to cannibalize your author name in order to get this trick to work, I do hope that it will make some of your lives easier.